They're easier to pull off than you think. Bear with me here, because this might sound a little crazy: You should seriously think about getting a pair of mint green sneakers this fall. Or pink. Or sky blue. Something that approximates the color of a (tasteful) Easter egg, is what I'm saying. There are a lot of options. This might seem unreasonable to you. Pastel colors feel expected during the warmer months. But when temperatures dip and the days get shorter, they're something different. Something rebellious(ish). 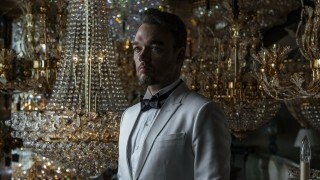 Because defying expectations is one of the strongest style moves you can pull. Why else would some of the most hyped shoes of the fall, by none other that streetwear stalwarts Supreme, come in both robin's egg and pink? Those aren't available anymore, because Supreme stays on the shelves for approximately .02 seconds at the outside. 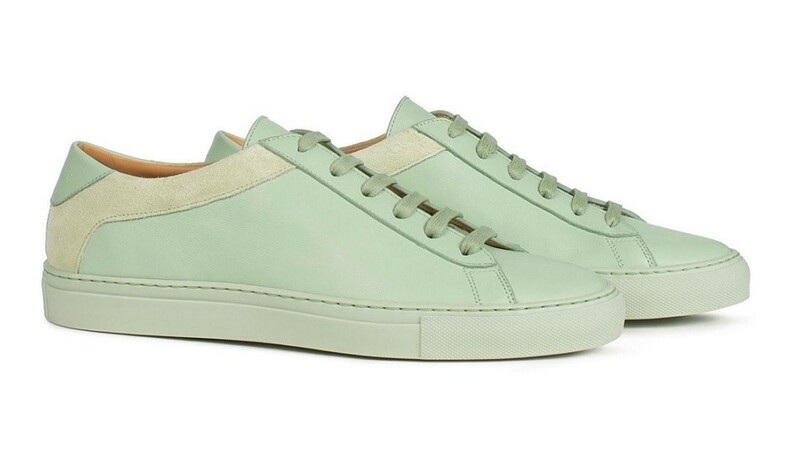 But upstart sneaker brand Koio Collective has a pair in a color called "Menta" (aka light green) that are available. They're Italian-made, with a Margom sole and a suede panel on the collar for a bit of visual interest. They'll run you $248, which is about half what you'd expect to pay for something similar from another label, since Koio goes direct to consumer. There's also a "Blush" pair, which sold out on its first release—sensing a pattern here?—but is restocking soon. Either one would look great with denim in pretty much any shade, not to mention gray wool trousers or even chinos, though I'd recommend a darker color like charcoal or navy to stop any sort of prep vibes from becoming too strong. Remember, you're rebelling here. At least a little. This story by Jonathan Evans originally appeared on Esquire.com. Minor edits have been made by the www.EsquireMag.ph editors.